Adding a shoe clip to your shoes can completely transform them from something quite plain and ordinary to something absoltuely amazing! These wonderful shoe clips from Perfect Bridal Shoes will do just this. You could even pop one on your bag to create a matching set. Beautiful lace and pearl cluster on a clip. We sell these as singles to enable you to order an extra one for your handbag, so do remember to add the correct quantity to your basket if you are ordering for shoes only. 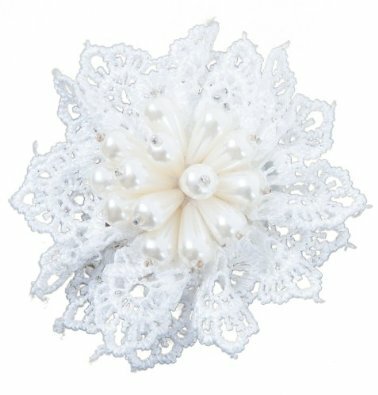 Click the button below to add the Perfect Bridal Shoes Kiwi Lace and Pearl Shoe Clips to your wish list.